Creating a successful F&B project requires 4 fundamentals: a good idea, an intelligent menu, a nice place and capable staff. That is why our core team is formed by a F&B management and financial expert, a highly experienced executive chef and an architect with outstanding artistic and aesthetic sensibility, all supported by a second line of capable people. Ok, at this point we have created the perfect conditions to open the restaurant, be it new or remodeled. We know we are good, but others are, there’s plenty of consultants out there! BUT, there is always a but!, having a continued success in the F&B world depends on one single crucial element: STAFF. In the management of a restaurant headaches almost always come from a single place: the kitchen. Problems with character, wage, hygiene, teamwork, personal dislike, career, you name it. In short: resignation and high turn-over. And here the world becomes much less crowded. And we become indispensable. 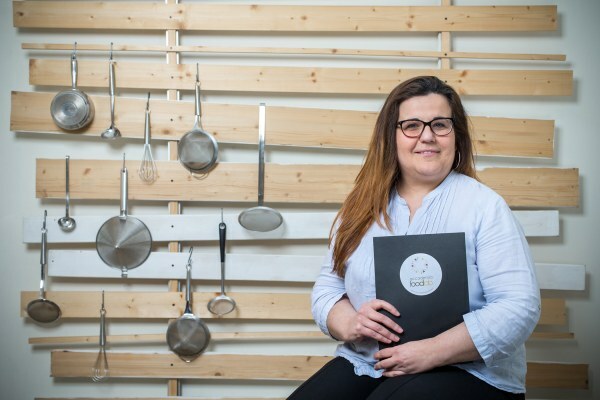 FoodLab Consulting incorporates the FoodLab Academy, the chefs’ academy we created back in 2004 and which has become one of the most renowned private Italian training schools for restaurant staff. We know that staff is critical, and we know that staff needs to be upgraded, replaced, motivated, sometimes fired. This is why we create staff, we shape it so we can continuously assist our clients both in the initial selection and in crisis management. Because there will be crisis, and how! As if that was not enough, we have a huge network in the F&B and restaurants world that allows us to find the best solution for our clients: chefs move, they periodically put themselves out there, and when that happens we know it. Everyone in the F&B world knows that this is how this activity works. And any new player with less experience but a great idea will soon find out. In both cases the enduring solution is FoodLab Consulting. As described before we can assist our clients from scratch in the creation of a F&B project, with the huge plus of our vision of the centrality of staff for the success of the restaurant. We are Italians from Italy, our culture is Italian cuisine: traditional, modern and gourmet, with a big focus on quality and good ingredients. We can assist clients all over the world who want to propose Italian food: new Italian restaurants, existing Italian restaurants that lost their identity, fusion restaurants, bars needing to put on the menu modern and fashionable food such as fresh pasta, corporate canteens, etc. Our main location is Torino, in the Nortwest of Italy, and we have an office in Geneva, Switzerland. Distance nowadays is not a problem, most of the job can be done at our lab, with contacts with the client mostly at the early stage of the project and during staff training. Staff training, a central part of our job, can be done in our labs in Torino and Alba (for full immersion programs) or by the client’s kitchen. We adapt our offering depending on the client’s needs, with adjustments to encounter specific needs due to geography, culture, taste, habits, etc. We follow only one or two projects at a time to deliver the best possible result without delays. In 2000 Federico Crova, a degree in Economics and Management, founded the company that he managed for 13 years with the brands CookinItaly (foreign market) and Accademia FoodLab (Italian market). Accademia FoodLab, that absorbed much of his professional energies, became one among the largest Italian privately owned Cooking Academies, providing services to consumers (cooking school, events, catering) and to companies (corporate events, team buildings, catering). The company is also a Tour Operator specialized in luxury food & wine tours. 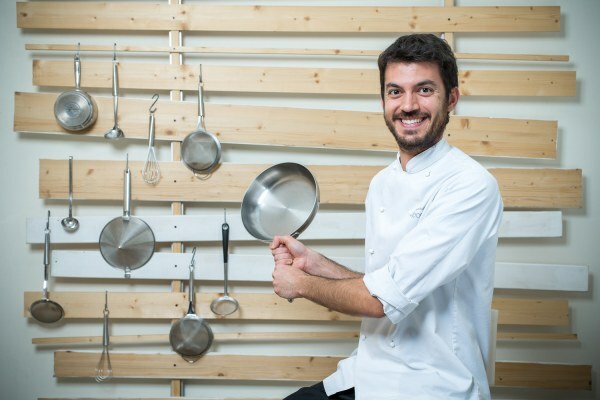 Since 2014 Federico has developed his own catering consultancy agency, developing projects for Clinique La Prairie in Montreux Switzerland, Savuré Kitchen Pasta Factory in Torino and London, Terra Academy & Restaurant near Alba. In 2017 he decided to give an further impetus to the consulting activity by conveying in the new firm FoodLab Consulting his know-how and the exceptional excellencies expressed by FoodLab Academy. Doctor Jakyll. In the kitchen Mr. Hyde! Everything related to cooking is managed with wisdom and passion by the executive chef Giovanni Naviglia, who arrived at FoodLab Academy after studying at ALMA Academy and making significant experiences in restaurants of the likes of Uliassi (Chef Mauro Uliassi, two Michelin stars ), Rigoletto (Chef Gianni d’Amato, two Michelin stars) and Il Gelso di San Martino (Chef Nicola Silvestri, a Michelin star). 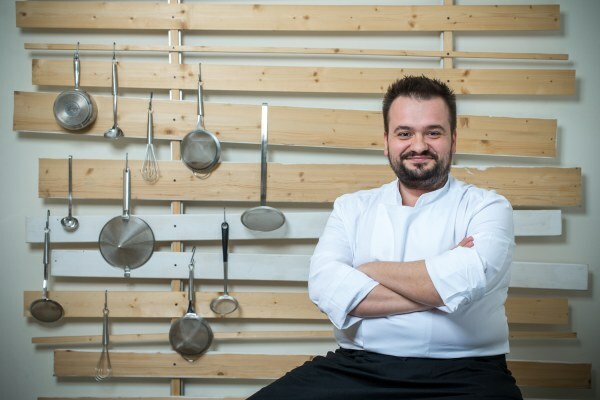 As a cultivator of the excellence of food, Giovanni is constantly looking for new trends in food and maniacally deepens the evolution of cooking techniques and the organization of kitchen work. Already looking at the next project! Outstanding artistic and aesthetic sensibility, coupled with excellent pragmatism, make Alessandra Pollifroni an invaluable resource for projects implementation. Architectural designer, interior decor expert, master in the difficult art of dealing with suppliers and builders, Alessandra masters the art of creating order from chaos. Marco always smiles. Also in the kitchen! Cuisine professor, the young sous-chef Marco Martiny has a degree in Economics but a greater passion for cooking rather than accounting. He has spent years as a student at FoodLab Academy, deepening every possible topic and then entering the staff as an apprentice. After 5 years he has finally took over the role of professor. Cristina Berlen is dynamic, curious and out of the box. At the age of 19 she decided to follow what has always been her greatest passion and attended the Chef Academy attaining the professional qualification of Pastry Chef. 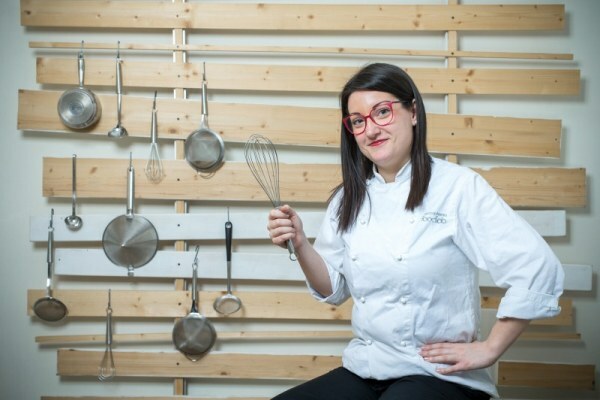 After a period of internships and specialization courses, she finally joined FoodLab Academy as a Pastry Chef and Professor. Her motto is “Life is short, eat dessert first”. The voice at the phone. Elena Pinarelli, the secretariat is all in her hands! 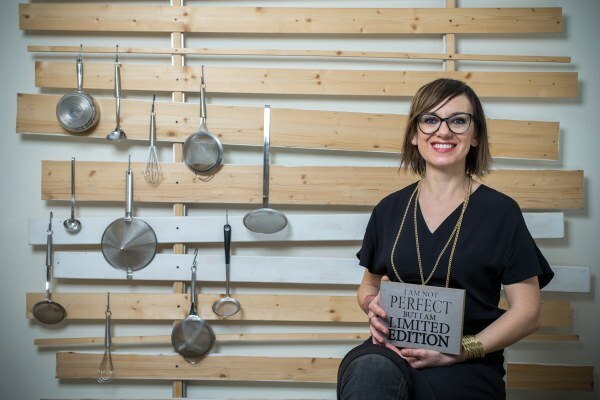 Historical FoodLab scholar, passionate about cooking and a great pastry chef, after years of career in logistics and administrative management Elena chooses to join us. Her multitasking personality lets her change roles in a blink of an eye, thus you can find her at her desk, at the reception, in administration and, why not!, in the kitchen.